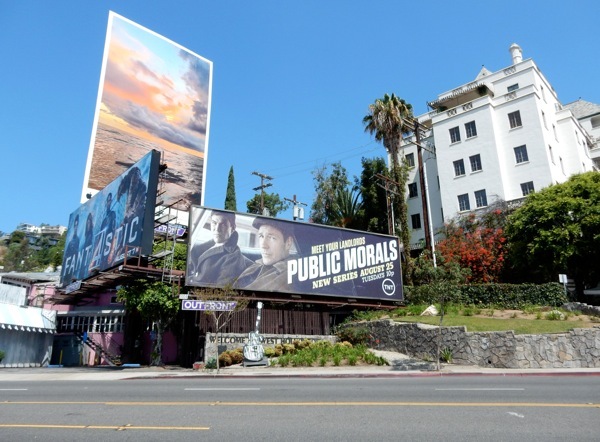 Are you ready to step back in time to New York City of the early 1960s when things weren't as jolly as the world of the Mad Men of Madison Avenue, but were a bit grittier and more corrupt on the mean streets of Hell's Kitchen, where the lines between vice and virtue were blurred a little. 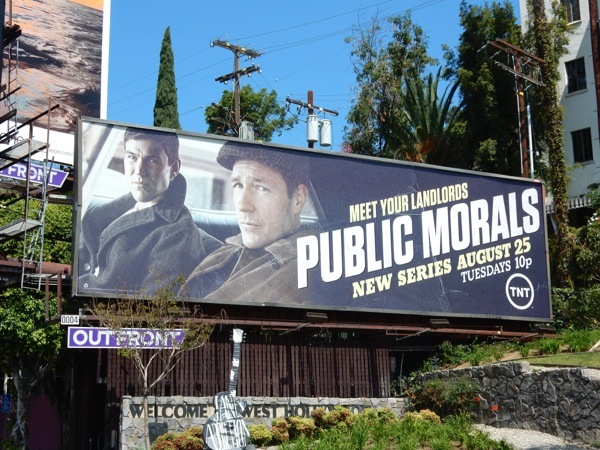 Edward Burns created, produces, writes, directs and stars in the period crime drama, Public Morals, where a cop squad is responsible with enforcing the city's morality laws, policing vices like gambling and prostitution (and occasionally looking the other way or taking a piece of the action). 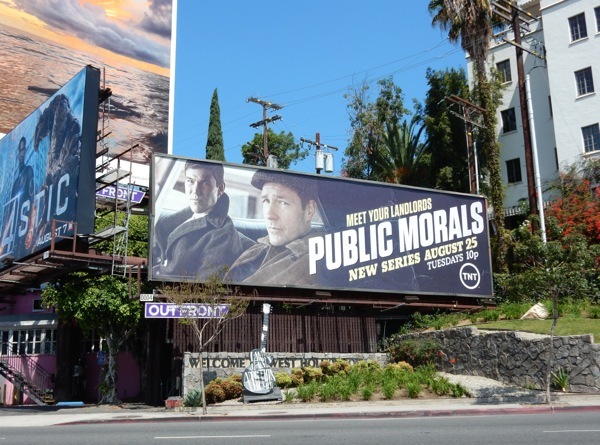 This series premiere billboard was first spied along Sunset Boulevard in West Hollywood on July 29, 2015, and the vintage style filter ad creative reminds Daily Billboard a little of Boardwalk Empire's season four outdoor ad campaign. 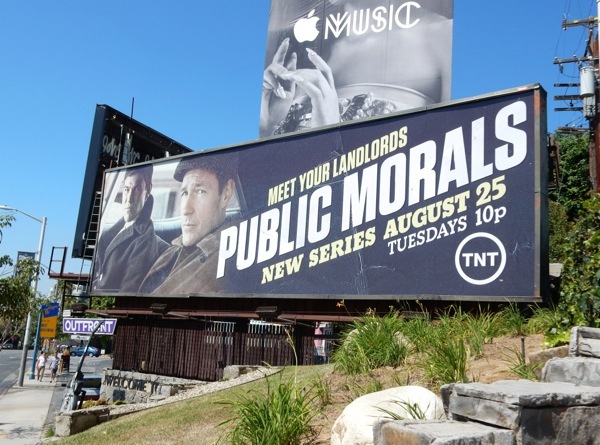 Stay tuned this week for more new TV shows making their debut this Fall.